Hwa Kee Barbeque Pork Noodles has always been my pal's favourite hangout whenever he is back in Singapore. 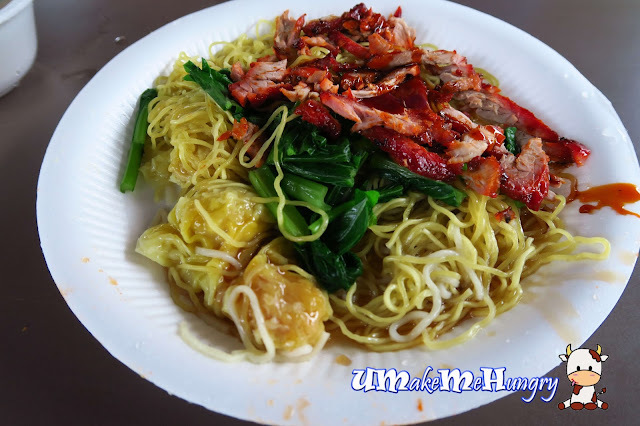 He would request a trip to East Coast Lagoon Food Village just for a plate of Wanton Mee even if it requires him to queue for about 15 minutes. 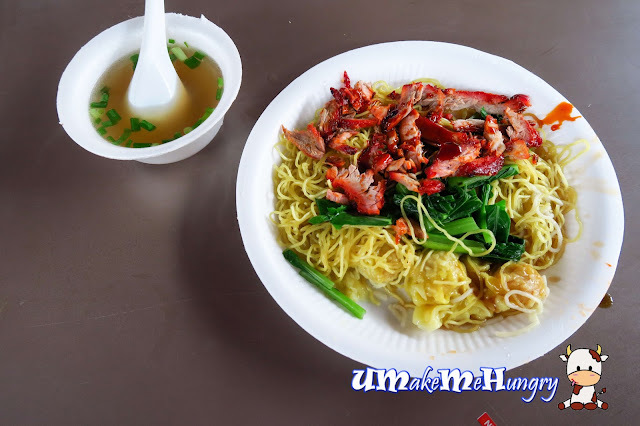 What makes the plate of Wanton Mee so addictive when the noodles they served was just run of the mill? Well, the starring ingredient on the plate is none other than their Char Siew meat that was generously served on the plate. Yes! You did not read wrongly, instead of having the wantons as the scene stealer, the Char Siew had claimed all credits here and you can forget all about their Wantons as they are pretty ordinary. Presentation of Char Siew is special as it was not the uniform slices we would have on a plate of Wanton Mee, instead they were served in elongated / shredded forms. Sweet tender Char Siew are addictive, not to mentioned such richly glazed, slightly charred and caramelized portion on plate. Together with the usual Char Siew red sauce mixed in, it kind of gave a special old school taste that stirred my childhood memories where I can finish anything ~ a bowl of plain porridge alone with just the red sauce. For sure, this style of Wanton Noodle is rather unique in Singapore. For those who prefer spicy noodles may want to add in more of their chilli than the red sauce. 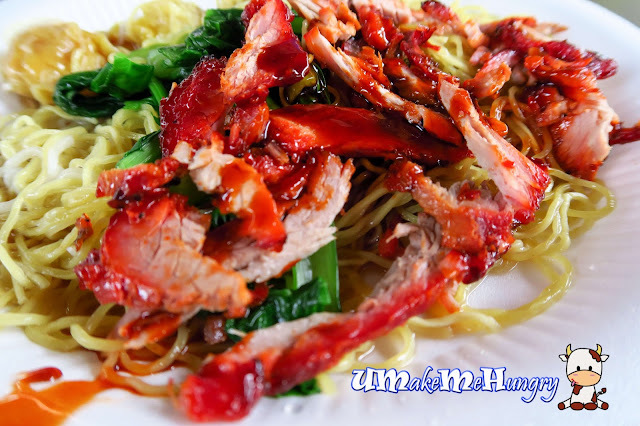 Though it may be spicy, it taste just as good in exchange for a comfort plate of food.